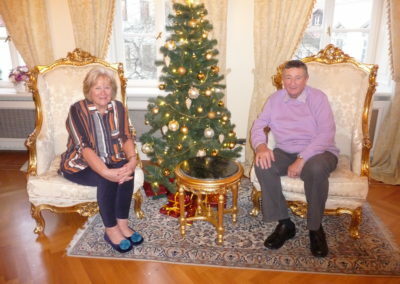 Please find bellow reviews from my clients who were so kind and took an extra time to write me a feedback on my tours. Reviews and testimonials matter so much in this field and I am always grateful to everyone who helps me to improve my services by writing me a reference. You can also go through my references on TripAdvisor, Facebook, Like a Local Website, Viator or check my Google reviews. Prague Behind the Scenes has been recently recognized with a 2017 and 2018 TripAdvisor Certificate of Excellence, based on the consistently great reviews. This is easily the best experience I had in Prague. Dana has such a deep knowledge about everything that is out there, and there is a personal touch to it. She would show you places, which you won’t be able to find on your own. You will truly see another side of Prague, hidden from the usual tourist routes. In my opinion, this tour is the best introduction to amazing Prague. И для русскоговорящих ребят: если вы спокойно понимаете английский, то смело берите этот тур, он намного интереснее всего, что предлагают наши гиды. Really enjoyed our day with Dana. She took us to many amazing places and many that we wouldn’t have seen without her personal touch. She planned the day to hit not only the touristy scene but also a flavor of the local scene. Also appreciated that gift she gave us at the end of our day. Thanks Dana! We took a tour with Dana on 22 March 2019 and it was amazing and fun. We went to places that less tourists, had a cup of coffee at the local pretty coffee house, narrow streets, beautiful views of the lesser town, new town and old town. You have to see the corner of beautiful Prague. All you have to do is to contact Dana and let her take you to the best of Prague. Highly recommended. Thanks Dana, our daughter likes you very much!! Dana was extremely helpful from the moment I put my request in for ‘Prague Behind the Scenes’ tour. She was extremely diligent with communication and even sent through an informative guide that she had created about Prague. My boyfriend and I met her in a very central spot that was easy to locate and she had such a lovely, charming personality that shined throughout the tour. Dana had brought a great photo pack so when she was explaining certain spots or monuments or moments in history we could actually see what she was talking about. She was very considerate during the tour, checking if we were cold, needed to rest or even gave us a tipple of a delicious Czech spirit to warm us up. Every part of the tour was fascinating and we didn’t have to deal with any crowds because it was off the beaten track. The place she selected for lunch was a locally run, family cafe that really gave you the feel of Prague. If you want a personable, informative and invigorating tour I would highly recommend Dana! We planed the tour a couple month ago. Dana is very friendly and always answer to my questions promptly. She made the pre-arrival PDF. It’s so useful! We are well informed of the weather, currency exchange and the travel tips! We told Dana that we love to visit the local market and try the delicious food. The tour is planned very well. In the morning, Dana greets us with strong local liquor Becherovka. We all got a little cup to warm up. We use the tram and subway to go around the city. The local market is the highlight! My wife and her friend enjoy sampling different kinds of fruits, yogurt, and ham. We also visit the local butcher shop. They served the fresh meat. We ate the Czech style burger. The food is so good. We went back to the same shop for the steak the next day! We spent a lot of time taking pictures along the walk, and Dana is always patient with us. We walk to the back alley and get the taste of Prague history. The city has so much to offer. Dana is so knowledgeable and she can customize the tour to meet your request. Book the tour! You will love it! Thank you Dana! My recommendation for anyone traveling to the incredible city of Prague is, please set up a private tour with Dana. 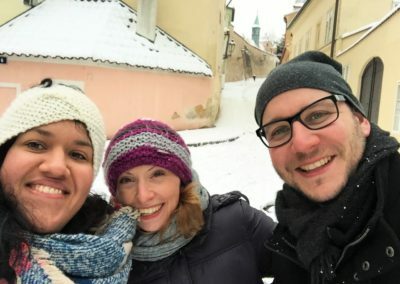 My husband and I visited Prague for the very first time and Dana was our guide. She is very professional but more importantly makes you feel very comfortable. Visiting a foreign city can be intimidating but having a well spoken and knowledgeable guide mades the trip very memorable. Visit to Prague was on my bucket list and having it showen and explained to me by Dana made it unforgettable. Thank you Dana for your kindness, your patience but more importantly your desire to show and share your city with us. Our memories are priceless. Dana was very well prepared and organized for our tour (4 friends visiting Prague). She had a well-designed tour that took us places we know we would have otherwise missed for sure. She provided a wonderful Prague informational PDF following our tour and even provided a wifi Hotspot during the tour, which was a first. We highly, highly recommend Dana for a tour in Prague. She is so friendly and helpful and knowledgeable! Stunningly good guide. We were lucky enough to be Dana’s only guests. She’s knowledgable and can tell you all about the history but you get so much more. She avoids the crowds and navigates down the backstreets giving you a real and quirky insight into her city. She has great recommendations for other things to see and do, and where to eat and drink. Her coffee and cake stops were fantastic. She made our stay in Prague. One tip. Book direct with Dana. It’s cheaper and better for her. Dana provided an excellent guided tour that was well paced, interesting and informative. Many of the streets travelled were away from the busy ones frequented by hordes of tourists. Dana’s blog was also very useful in providing useful hints. We used two of her suggested places to eat and were not disappointed. We would recommend this walking tour to anyone looking for something a little different. I generally do not go on tours, preferring instead to wander and see what comes my way. However, I am so happy that my friend chose this tour for our group to take. Our guide Dana, who unabashedly states: “I belong in Prague”, offered us an exceptional, insightful day of local perspective on her wonderful city. Thoughtful, articulate, and accommodating of our group’s desires, she took us beyond the realm of touristic understanding, and comfortably introduced us to out-of-the-way places, the way a seasoned friend would do. She was flexible, easy to get along with, and goes the extra mile (or should I say kilometer) in everything she does. Her e-guidebook was an unexpected, well-written and helpful adjunct to our visit. I highly recommend the services of this superb, well-spoken, down-to-earth individual. This tour was the highlight of our time in Prague! Dana is an extremely knowledgeable guide and we loved seeing so many great places without the crowds. We booked a private tour for our group of 6 and she met us at our hotel. Before we arrived, Dana provided a guide of local places and recommendations and tips for navigating Prague. This came in so handy as we did not tour with her until our last day there but were able to check out some of her recommendations ahead of time – as well as know what we should avoid – eg, taxis! In addition to the great information and perspective she provided, Dana is an absolute delight and we really enjoyed chatting with her throughout the tour. Book this tour – you will love it! All we can do is echo what everyone else has said. Dana’s tour was all we expected and much more. We saw all sorts of out-of-the-way places and she provided interesting commentary at every one. Her knowledge of her city and its history is superb, she obviously loves what she does, and she is such good company. After 4 hours we felt like old friends of hers. If you are looking for a walking tour, you can’t go wrong with this one! And Dana is the only guide who does this tour, so if you sign up for it, you will get her. We spent half of our first day in Prague with Dana and had a wonderful time. It was a very relaxing and pleasant way to experience the city. Dana was very friendly and also very helpful with giving us recommendations. Both the tour and the material she sent us before our arrival was very well thought out and superbly designed. Thank you Dana, you have our highest recommendation! Dana is awesome! She is passionate about her hometown and conveys it beautifully through her command of the English language. She is VERY knowledgeable about Prague and the Czech Republic. My spouse and I wanted a 100% custom tour. Our ideas about what to see matched hers, although she tactfully indicated we could not do it all in 4 hours. She put together an itinerary that perfectly fit our time and tastes. She was punctual and then led us at our age-70s pace. She gave us wonderful advice (before and during) on local transport, where to enjoy meals, a concert, and shopping. She actually gave us extra time and would only take a cold beverage as payment. It was truly an exceptional experience, one we did not want to end. Not only was hiring Dana the best decision made on this trip, we made a new friend too. We HIGHLY recommend her! Dana is gorgeous! She was my best friend for half day during my tour in Prague. I recommend you take this trip at the beginning of your holiday so then you have time to explore all she recommends. She’s very well informed and has plenty of good tips for a very enjoyable stay in Prague! Please treat yourselve to a great tour of Prague with a great guide. Walking through Prague with Dana felt more like walking around with a friend who truly loves this beautiful city. She is personable and knowledgeable. You can tell she really loves what she does and cares for you to have a great time. She also will show you a different Prague, away from touristy areas. That was a discovery! Highly recommmed! We seriously can’t put into words just how wonderful our tour was today with Dana! She was so kind and knowledgeable as she showed us her hometown. We saw an incredible amount of the city in 4 1/2hrs. She took us to places that weren’t as busy with tourists so we could enjoy hidden gems of the city that most tourists miss. The history she explained to us was excellent and she even had a binder of pictures to help show us more details of the buildings/sights we were seeing. We learned so much and now we appreciate what we’re seeing even more. I had been in Prague a week earlier and took a large group tour, and was so disappointed. Upon my return to Prague, I had booked this tour on a friend’s recommendation. I saw a side to Prague I was thrilled existed. Taking us through Old Town, New Town and Lesser Town as well as the Castle district, we toured for 6+ hours, just two of us and the guide. We were “off the beaten path” which meant we avoided crowds, but saw and learned an amazing amount. In a small group tour, with an intuitive guide, the tour quickly contours to your interests and needs. 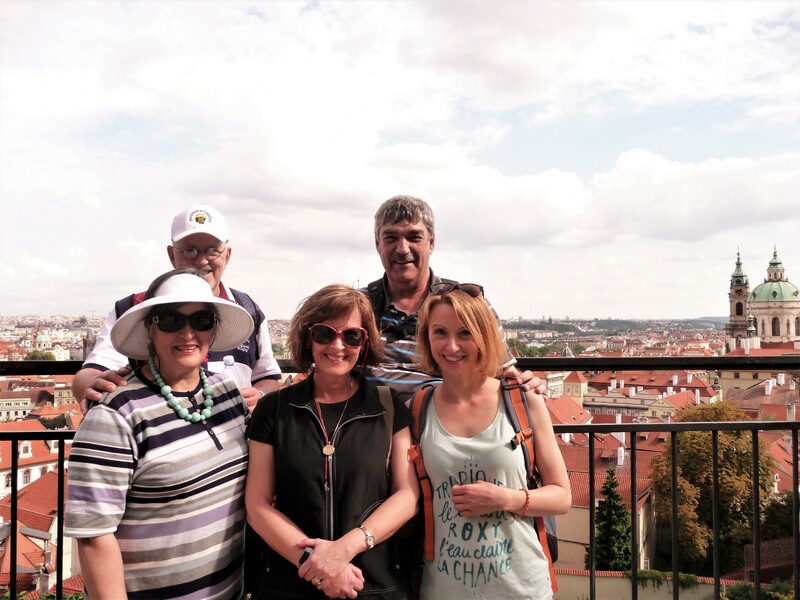 Equipped with a historical knowledge, folklore and photos, Dana seamlessly toured us through a very interesting side of Prague… don’t hesitate to book this tour, it is money well spent! Do not hesitate, book this walking tour, it is truly amazing! This is the first time I have visited Prague, so we booked for our first day. It is the best decision I could have made, not only did we experience a personal introduction to the city, we gained an orientation and perspective that boosted our confidence and connection to the city for the duration of the stay. Dana is such an easy person to spend time with. Her knowledge and passion for the city is awe inspiring. 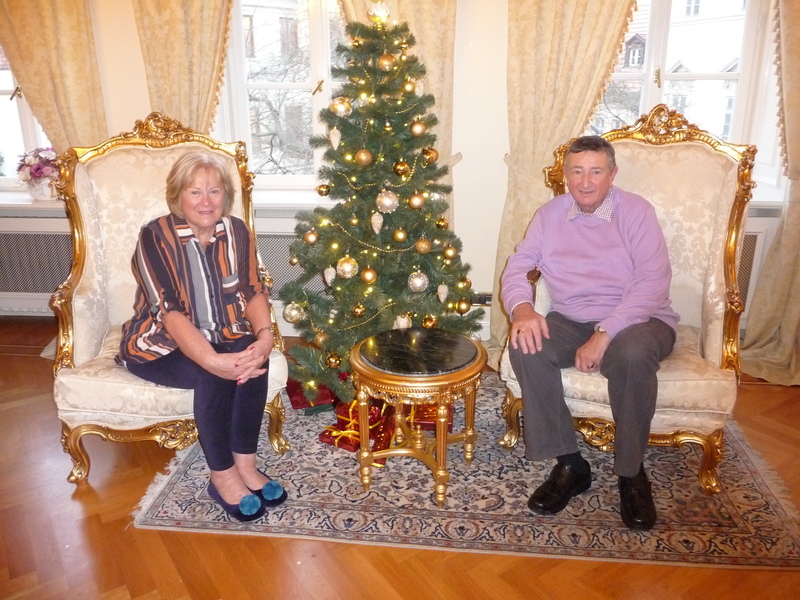 My husband and I are aged 55 and 60, it is such a treat to be guided effortlessly through Prague, we saw sights and vistas we never would have discovered on our own. A personal highlight was stopping for lunch in a quiet cafe and sampling some wonderful beer and food. Dana helped us buy tickets to a concert later that evening and gave us inside information on things to do and avoid! I really wish Dana could be our travel guide for every first day in a new city. Dana, our guide, was all that we could ask for (and more). When we (husband and wife) visit a foreign city, we usually try to arrange an in-depth tour with a local guide who can show us things off the beaten track and yet fill us in on the touristy stuff as well. We use that information to guide us for the rest of our stay. Dana filled the bill completely. She guided us to spots with very few, if any, tourists and explained the history of Prague and the various places around the various places in/around the city she took us to. Yes, we visited the Castle grounds and saw the Charles Bridge, all packed with tourists, but, to get the best feel for both locations, Dana told us to come back to the Castle at night when the tourists were mostly gone (and some of the Castle attractions became free) and to visit the Bridge in the early morning before the tourists arrived. She led us down a narrow passageway for lunch at a restaurant near the Castle with no tourists present except four or five roadies who were there to set up the Rolling Stones concert later that evening and who had been to Prague several times before with the band. Dana showed us how to use Prague transportation; she gave us restaurant recommendations where we’d meet mostly, if not entirely, locals; and she followed up an email request to give us information about other places to visit during our stay that we might have otherwise missed. I could go on with details of our tour and other things Dana did to make it so memorable, but take it yourself. You won’t be disappointed. We could not have had a better introduction to the city of Prague than our guide Dana. She was knowledgeable, prepared, extremely pleasant and vey patient with our group of six seniors. She was attuned to our needs, suggesting breaks at the appropriate time. She communicated both the history of the city as well as the current atmosphere, and encouraged and answered our questions. Overall, it was above expectations. The tour with Dana was the highlight of our trip! It was only me and my boyfriend and our amazing tour guide Dana! It was as if we had our friend showing us around the city of Prague, so personal. I don’t just recommend this tour, YOU HAVE TO DO IT during your visit! It makes a world of a difference to have a personal tour versus those really large/tourist trap tours. You are taken away from crowded street areas to places with better views, walking paths like a local. Dana knows her history, really shows you the town off the beaten path, and even has a certification for giving tours! We were taken to a hidden and local, quaint coffee shop with tasty foods. She was so lovely to talk to and I hope the next time we come to visit Prague, that we can hang out! THANK YOU DANA FOR MAKING OUR EXPERIENCE IN PRAGUE AN AMAZING ONE! Our friends in New Zealand recommended Dana to us, and we were not disappointed. 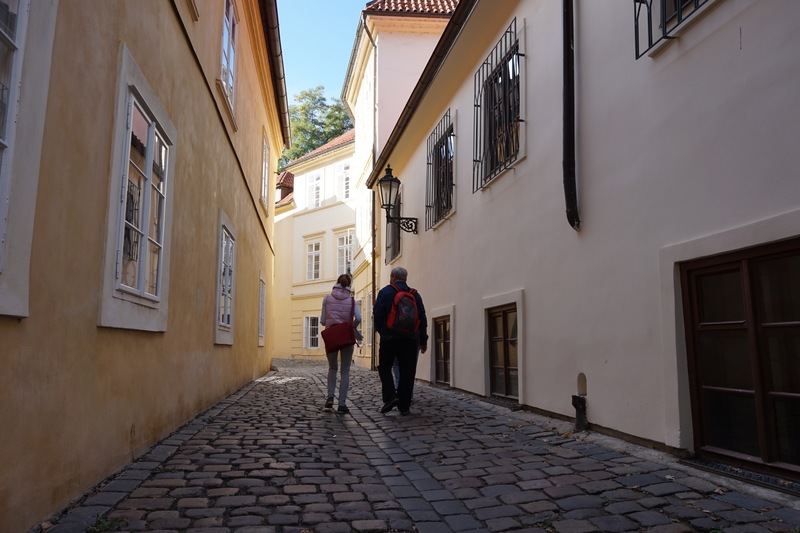 We spent about five hours walking around Prague with her at a comfortable pace, and she showed us many areas off the beaten track in this beautiful city. Dana is very knowledgeable about Prague’s long and fascinating history. She is fluent in English, wonderfully-cheerful, and very enthusiastic and proud of her home town. Dana is a Highly Recommend. Brilliant. Book now! Superb, personalised, off the beaten track tour – one of best ever. Small group SO much better than the usual numbers. Dana really nice – fun and very knowledgeable. 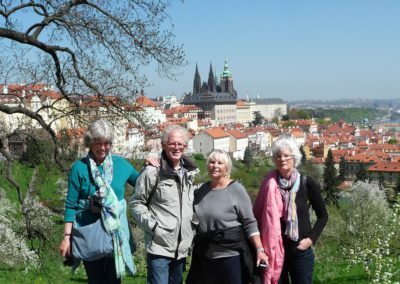 For our first visit to Prague our group of four friends booked a tour with Dana and we were very impressed with her knowledge of Czech history, geography and culture. She told personal stories of her family’s post war life and managed to show us some of Prague’s highlights without the crowds by her clever routes though lanes and backroads. She patiently answered our many questions and moved us along at a comfortable pace, covering many of the districts with enough detail to satisfy our interests. Highly recommend her fun and informative tours. Awesome day with a nice lady. She taught us a lot and helped us to make wiser choices in how to spend the rest of our trip and our money. We learned which places will keep the local economy healthiest as well. She was happy to teach us so graciously. A month had gone by since my Praga visit. And I still remember that day at great lenght. As it happens, I was the sole customer that day, so it was individual walking tour. Shortly, that tour was extremely great, we’ve crossed old Praga mostly by routes almost free of tourists. Dana was very cheerful and kind, she knows Praga from A to Z. Also, tour was customisable a bit, I’ve just told Dana where I had already been and she replaced those places with another locations. Solid five stars. I will highly recommend Dana’s tours to my friends who gonna visit Praga soon and may be will take another tour myself if I manage to return there (I’d love too). A truly wonderful time with Dana! She is so knowledgeable, kind, patient and fun! I learned so much and we had a great time. 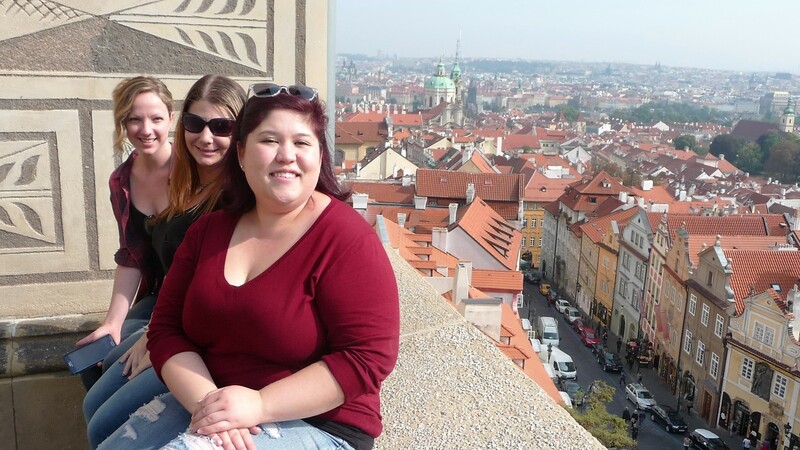 Do yourself a favor and book your Prague tour with Dana, it is time well spent! We did the tour on Friday the 13, but nothing bad happened, and we were even so lucky with the weather! It is quite a lot of walking of course, but in a pace everyone can manage. A lot of less known smaller places to be seen, and some beutyful sceneries. Dana is a perfect guide, has a lot of knowledge and felt very personal and friendly. In this kind of small group you can always be aware what is said, and also pop a question whenever needed. We enjoyed, thanks! Prague is such a ancient and enchanting city. 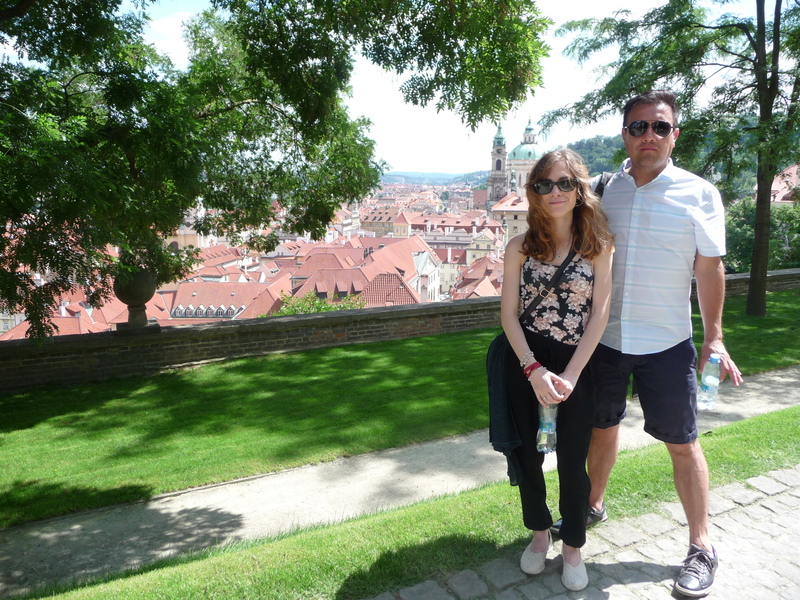 To better enjoy the beauty of Prague, I was very lucky to have Dana as my private tourist guide during my Prague trip. I arranged two 5-hour tours with Dana, including both the old town and the Prague Castle. Dana was truly amazing. She introduced me different architectures in details and showed me a variety of hidden gems. Other than those beautiful buildings, she introduced me the local market. As a food lover, I enjoyed Czech mushroom soup, local coffee and green craft beer. One highlight of the tour was that we visited the Klementinum, which was an ancient library with stunning interiors. Other than the library, the top of the Klementinum had the best view of the Prague city. Dana told me that she had not visited this place for ages, so I was very glad that we could appreciate the picturesque 360-degree view with fresh eyes. Dana was super friendly and knowledgeable, and she managed time very wisely, which was crucial since I planned to go directly to the airport after the trip. In summary, I highly recommend the private tour with Dana, which was the best experience I had in Prague! Really good and relaxed tour. We really had a good time walking along this tour. Dana had a lot to tell (in fluent English). She is a local with a good knowledge of Prague. She was always happy to help to take a picture or to answer our questions. I booked the tour for my wife and me. The small group makes it in my opinion a lot more enjoyable to follow a tour. We can recommend this tour if you are staying in Prague. Dana is super kind, I was actually late to the tour due to one of the subway stops being closed without me knowing, she was kind enough to walk back and come pick me despite behind half an hour behind schedule. The tour was very information, i definitely prefer off the beaten path tours of cities because you take the less known paths to get to the typical tourist sights, you will also see a different side of prague that you will miss. She is super knowledgeable and always happy to answer questions. When people travel to prague i will recommend this tour 100%. Best way to see Prague. Wonderful way to see Prague, learn about it’s people and hear their fascinating story. Thank you Dana for making us feel so welcome and showing us your city. A wonderful day and hoping to visit again soon. I was lucky to have Dana all to myself for my tour of beautiful Prague. Dana’s knowledge and friendliness make you feel truly special. 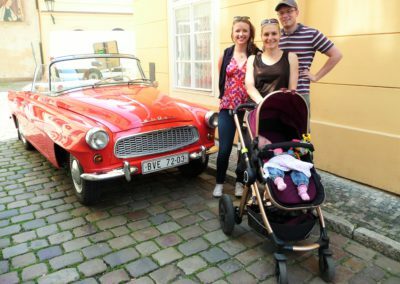 Little snippets of information that she can tell you and views that know one else seems to know about or be at- the Trabant sculpture in the German Embassy Gardens, the walk to the Castle via the public orchard and so much more a real insight to the real Prague. I thoroughly enjoyed myself and didn’t want it to end. Great cafe for coffee too – a real gem!Thanks Dana, for everything. Me and my fiancé have been to Prague many times, 17 times to be exact over the course of the last 7 years. During our trips we have taken many guided tours. Some have been god while others have been not so good. Then there have been those tours who have stood out because they are even better. Then at least there is the one tour who has undoubtedly been the best of them all, and that is the private tour we had With Dana. We first contacted Dana after searching the web for something new, something we had never seen before. Prague Behind the Scenes offered just what we were looking for, something new and fresh. After contacting Dana we soon received an answer and after that we discussed what kind of tour we were interested in having. We met Dana at Prague Main train station and we then spent a few hours in her company. Unlike any other tour we have ever taken before this felt personal. Dana is a kind woman with a nice sense of humor who knows extremely much about her City, and she showed us hidden and told us facts about these places that we had no way of knowing without her. Being allowed to see the city that we love so much from a new perspective with the help from Dana was a wonderful experience. If you are interested in seeing the real Prague this is the guidance you should choose. Thank you Dana for a very nice experience! Best Prague visit ever! I´ve been to Prague seven times before, but Dana showed us so many “hidden” places around the city where I´ve never been on my visits or just walked by and not paying it any attention. I´ve learned so much and most important I still remember everything Dana told us! Dana is awesome, she knows how to capture attention and knows so many interesting storys about her city!! What I liked most was the “Charles-bridge-date” 135797531. Because actually I can´t remember dates, but here we go! If you wanna exprerience the real Prague, without 1 Billion tourists around you, let Dana guide you through her Prague and listen to her stories. You´ll be glad, that you´ve not chosen another tour! I highly recommend this tour! If you are unsure about doing this tour don’t think too long. There is a very good reason that there is such a high review for Dana. She is awesome. You dont realise just how good until you see the umbrella tours missing all of the great behind the scenes information. Just the best tour in Prague. Forget the other usual touristy yours Dana will walk you around Prague and describe some ‘behind the scenes’ streets and buildings that were very interesting and beatifully presented by ‘Dana’ who is simply lovely. Wonderful authentic tour! Dana is an absolute treasure trove of information. She’s friendly and really loves Prague and her work. Highly recommended for those who want to avoid the usual tourist traps and see Prague from the eyes of a lovely local. We visited Prague last winter, and reflecting back on our overall European holiday, this tour stood out and remains one of our favourites. Our tour guide Dana was friendly and engaging, and has a wealth of knowledge that she shared with us. 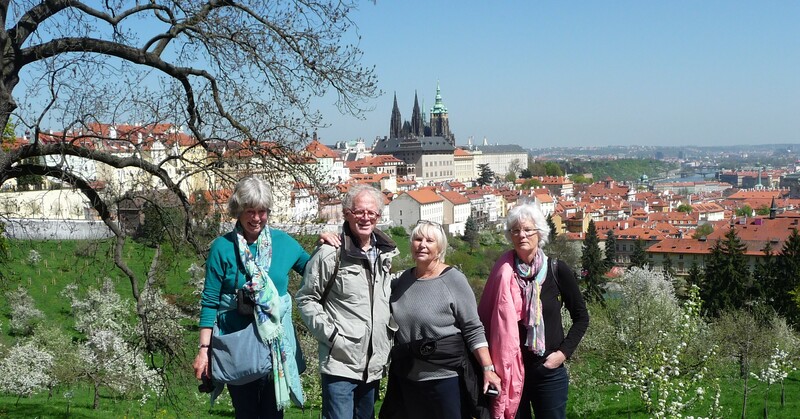 We visited some areas that tourists would not normally see, stopped in at a lovely little cafe for coffee, and finally walked up the hill to Prague castle. Dana comes across as very passionate about Prague and she is the reason that we would recommend this tour. Prague is a lovely city, which we will be visiting again for New Years. Huge thank you to Dana from Prague Behind The Scenes! The tour you gave us Friday of Prague was amazing! It was the perfect way to see your city for the first time, Dana! We learned so much about Prague’s history and we were never once bored(not even our teenagers!). The love and pride you have for your hometown is obvious, and we can see why! You, and Prague both, are a delight! We will definitely be returning to Prague and we will absolutely connect with you again when we do! In the meantime, if you’re ever planning a trip to Prague, I highly recommend booking a tour with Dana! You will not be disappointed!! 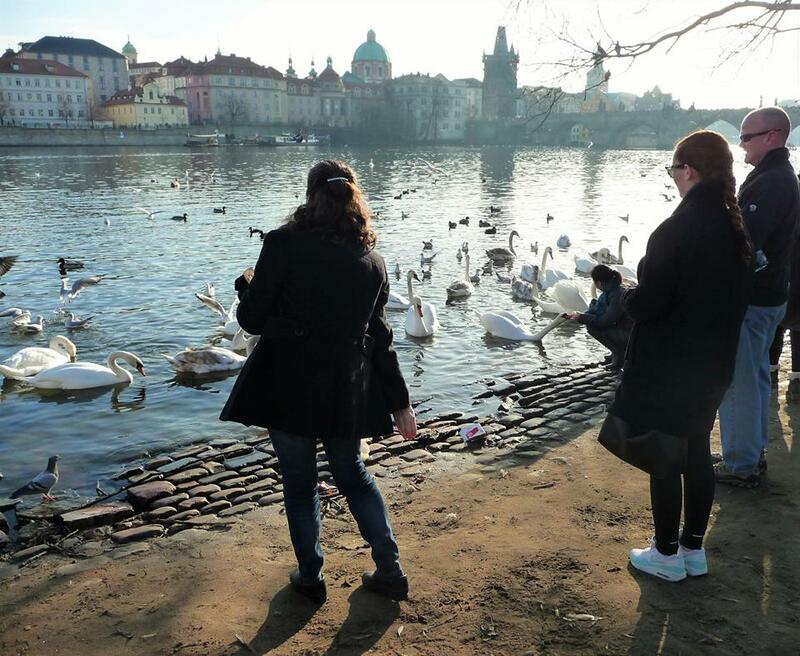 The reason why I signed up for this tour is because that I was a little bit overwhelmed by the tourist crowd at the Prague old town and looked to have a more authentic way to experience the real Prague from a local’s eye. It eventually became the best experience I had in this city and I would highly recommend this tour to anyone who want to see some of the off-the-beaten-track. Dana is a great tour guide. I was lucky enough to be her only guest on that day. She made me feel like she is a friend of mine from Prague, not just the tour guide who makes a living doing this as a job. The entire tour was awesome and I typically enjoyed the lesser town, which is such a quiet and artistic area between the old town and the castle district. I also appreciated how flexible she was with the time to allow me to take plenty of pictures. Not to mention that she is a good photographer and was always happy to take pictures for me whenever I requested. Personal & Genuine. Our tour with Dana was great! She took us in and around the city where there were no other people around so we could experience Prague from a different view. Along the way, we were filled with interesting information and impressed by Dana’s knowledge of Prague. My partner and I would highly recommend taking Dana’s tour if you want a truly unique experience. Thank you Dana!! Fantastic and personal! Dana was awesome. We walked, talked, and learned about the city’s history and a number of the non-touristy sights. Dana had a wealth of information to share and was able to provide a unique insight into the city’s history – she is a great storyteller and guide. Lunch was in a charming little pub (? – Dana, I may have used the wrong terminology here) and the less crowded, scenic walk up to the castle grounds was a real treat. I HIGHLY recommend Dana as a guide and excellent/expert resource for “things to do” and “places to see” – thanks again for a great tour! This is a tour that takes you places and shows you things that I don’t think you’ll find on any other tour. Examples include a surreptitious sighting of a David Cerny piece at unexpected location, an echo platform that no one else seemed to have noticed, and unmarked artist community. Dana not only shows you unique sites, but is also well prepared to regale you with history and interesting anecdotes for each of the sites. From time to time she pulls out her magic binder to provide photos and facts and figures to add even more interest to the sites. We were very lucky that no one else had signed up on the day of our tour, so we had Dana’s complete attention, but I don’t think a larger crowd would detract from the experience. Dana clearly loves Prague and enjoys showing off the cooler, less well known parts of it. We highly recommend this tour. Upon arrival into Prague our apartment host let us know if we wanted a tour that was not the typical touristy then Behind the Scenes would be a great choice. So we booked in with Dana. I can now say WOW Dana was absolutely amazing. Born and raised in Prague, she had the cultural passion and full scope of knowledge about every historical site and and many more that a common traveler would never see or hear about. The tour was 4.5 hours scheduled, however, she stayed extra without charge to spend time with our group socializing and enlightening us with her knowledge. What an amazing day!! Dana was the highlight of our stay in Prague!! Thank you Dana! We definitely recommend this tour to every traveler!!! 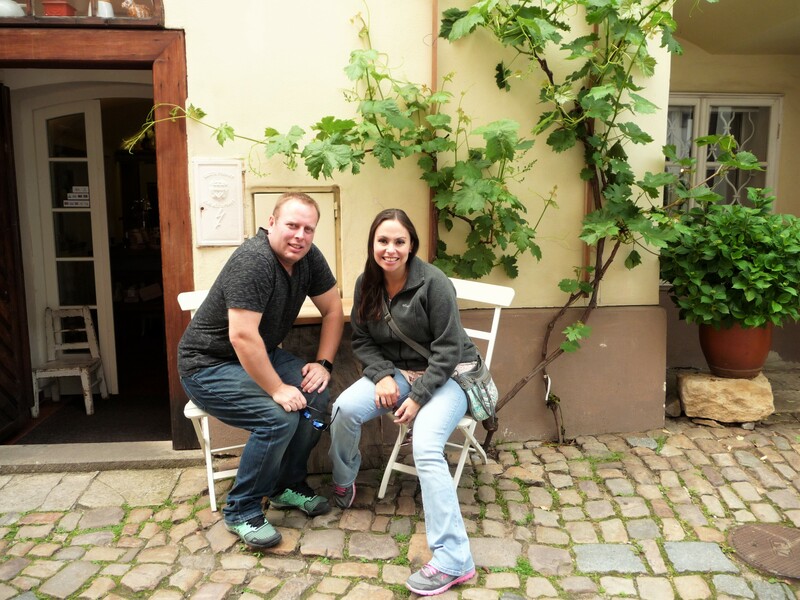 My husband and I went on the small group tour with Dana on our first full day in Prague. It was just us and another gentleman. We had a fabulous time! 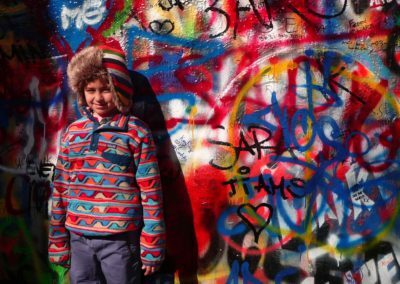 There couldn’t be anything better than learning about Prague from a local! Plus, Dana is just a super sweet person that anyone would enjoy spending the day with! She took us for lunch at a true local spot. We never would have found this place. There wasn’t even a sign outside of the restaurant. Inside she read the entire menu to us and help describe the genuine local dishes. It was delightful! Then when we left the tour she sent me an email of several places to try with descriptions and recommendations. She truly goes above and beyond. This is a must tour in Prague!!!! However, what made it special is Dana she connected with all six of us on the trip spending time telling us about Prague, but in a relaxed informal way with a non touristy stop for lunch. All in all it’s a tour that deserves the outstanding ratings it receives I am confused why it is hidden away by Tripadvisor outside the top 100 tours when it is clearly a top 10 tour!! We only found out about it by chance googling what to do on a rainy day in Prague. The good news is it’s a tour todo what ever the weather! This was one of the best tours we have ever had! We covered a lot of ground, yet did so at a comfortable pace. Dana is most knowledgeable and has a great sense of humor. She made the day delightful despite the rain! 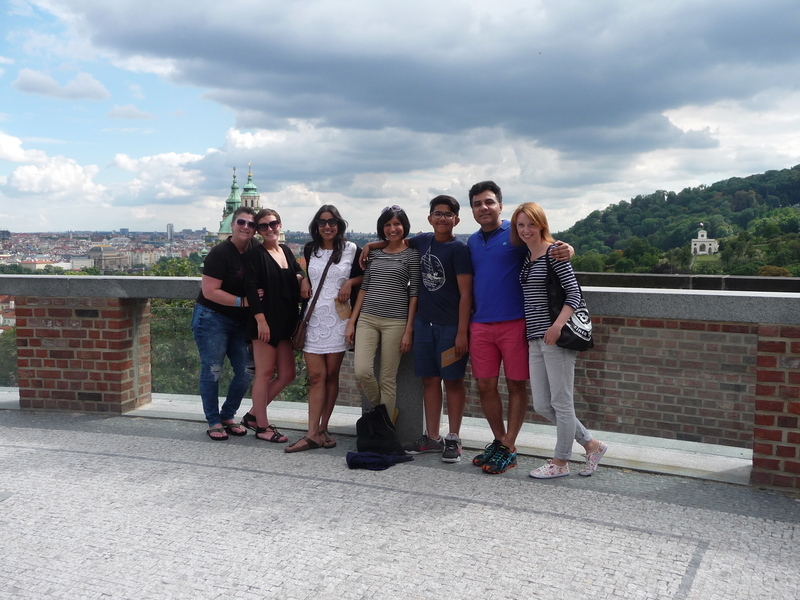 Dana provided a wonderful tour that covered the majority of the main tourist spots as well as a great number ‘off the beaten path’ around Prague. Dana was a very knowledgeable guide who is passionate about Prague and its considerable history. Over our tour we were provided with free wifi which was great and allowed us to search the spots on line as we walked. A visit to a local cafe including no tourists provided a great break and a good opportunity to ask further questions. After the tour Dana also provided us with some names of cafes and restaurants less frequented by tourists. A great tour all round. This is one of the best experience in a walking tour that I ever had. Dana is ultra serviceable, joyful and with lot of knowledge. We took the tour in a Friday afternoon after strong rains. Dana has a lot of knowledge about Prague history, and moreover she gives you a lot of tips on how to enjoy Prague as a local! We walked for 4-hours, and my wife and I did not feel the time passed by. Free wifi by walking is an add-on feature that you won’t get on any other tour. The recommendations for food, drinks, and things to do that Dana gives are amazing! We asked her for several places to eat, and all the places were amazingly good! We had a short time in Prague, and she was so nice that made space in the afternoon for the 4-hour tour. We really appreciated it! When you go to this tour, you will end knowing Prague’s history, with a lot of cool tips about living in the city, and with a new friend. Dana is 100% recommended! We really enjoyed our 4+ hour walking tour with our guide Dana. Dana is so knowledgeable and well prepared of show casting Prague! We saw a good mixture of the regular tourist spots and places off the beaten track. A stop at a local cafe away from the crowds was a pleasure surprise. Dana gave us some local tips for good restaurants/cafes too! Highly recommended! I tend to like doing non-touristy things when I go on trips. Prague Behind the Scenes Tour was a perfect choice. The city itself is busting with tourists and tour guides and Dana makes a point of not giving you a typical experience. She was knowledgeable and provided a lot of interesting details. I was celebrating my birthday in Prague this year and a friend purchased two tours for me as a gift. Prague Behind the Scenes Tour was the second one that I was on and I wished that both days, both tours, were with Dana. Happily on the day of our tour there was just my husband and I with Dana which made the tour feel as though we were taken about by a friend . Dana was very knowledgeable and was able to take us to interesting places and routes away from the hoards of tourists. She was also able to recommend other local places to visit for the remainder of our stay in Prague which we have followed up on, much to our enjoyment. We can’t recommend this tour highly enough. We were touring with Dana, 2 weeks ago, and I am finally getting around to add our review. My husband and I spent about 5 hours, touring with her through the city. We skirted some of the busier locations and managed to see quite an overview of Prague. Dana is a lovely, young lady who is very enthusiastic about her city and has. desire to pass that appreciation on to you. She happily answered all our questions and we enjoyed our time with her. Wonderful, wonderful, wonderful. We loved spending time with Dana and getting a very personal insight into the history and stories of Prague. Wished we’d booked for the first day of our visit to Prague. Genuinely passionate and knowledgeable and always had answers to our questions. Also we appreciated how Dana seemed to tailor the tour around what we’d already seen. And offered great advice on restaurants that are less touristy.Highly, highly recommended. Thanks Dana. We scheduled a tour with Dana based on a recommendation from a friend. She took us to a number of interesting places imcluding the unknown areas that most people don’t see. Dana really knows Czech history and culture. We realized how little we knew prior to meeting Dana! After the tour, we were able to replan the rest of our time in Prague. We’re going to recommend Dana to our family and friends! Taking this tour was the very best thing we did the entire trip. My only regret is that I wish we would have scheduled it for the first day. Dana was our tour guide and she was amazing. We had a very small group just my daughter and I and really enjoyed Dana’s company, knowledge of the city and country and sense of humor. I highly recommend taking any tour with her and I will definitely reach out to her the next time we are in Prague. Dana was an amazing tour guide. We actually winded up with a private tour which was an added bonus. She was knowledgeable and a genuinely nice person. She took us to sights we wouldn’t have seen otherwise, and also to the castle. She also took us to a lovely light lunch at a hidden away cafe. I could not recommend this tour more. It was so nice to have it be personal instead of a large group. Dana took us on a unique tour through Praag, with splendid views on the city and charming places. The tour was a very nice mix between historical and contemporary facts and places, and really showed us ‘behind the scenes’ of the great Prague buildings and places. But what made the tour unforgettable and made it the highlight of our stay in Praag, was the lovely way in which Dana hosted the tour. It felt like we were old friends meeting again. Thanks a lot, Dana! One of the best walking tours we have done anywhere! Dana’s guided tour was a great way to start our visit in Prague. It was an intimate group where we had opportunity to get to know everyone. We walked several kilometres in total but the pace was comfortable. Dana is pleasant, polite, knowledgeable and is fluent in English. She also made a few great recommendations for the rest of our stay. Dress for the weather, put on some good walking shoes and go on this tour! Stumbled upon Dana’s site when planning my trip to Prague and so glad I did! Thoroughly enjoyed listening to her talk about the history behind different parts of the city and discovering hidden gems. Small group size made for easier interaction and Dana had plenty of amusing anecdotes. Would definitely recommend! Dana is a brilliant tour guide. She loves her city and shares the love with you. Taking you places you would not normally go to. We did this walk at the beginning of our stay and it helped to orientate us in the city. I will recommend Dana’s tour to everyone. Our guide Dana was superb and shared her knowledge with us in a fun and informative way. There is a lot of walking but you don’t really notice it as you wonder from one gem to the next. I will definitely recommend this tour to anybody who want to beat the crowds and tourist hot spots! Greatest tour ever סיור הכי מדהים We had a great tour with Dana. We were very worried about taking a tour with a local from prague. But, it was worth every cent. She had enormous knowledge about everything and not only things that were in her script. She took us to places that were special and that on a regular tour you wouldn’t get to. With dana you can get a feeling of the true culture of prague and see the whole story of prague. היה לנו סיור נהדר עם דנה! רצינו מאוד לקחת סיור עם מקומי כדי לחוות את פראג האמתית החשש הגדול היה עם השפה, דנה מדברת אנגלית שוטפת, ברורה ופשוטה. היא חברותית ונעימה ויש לה ידע עצום על פראג וצ’כיה בכללי. בסיור חויבו את התרבות ואת האווירה של פראג. הסיור היה שווה כל שקל! יתרון נוסף הוא שהסיור נעשה בקבוצות קטנות והיא מאוד גמישה בסיור לפי בקשתך. בקיצור מומלץ ביותר!! What’s the story behind red boxer undershorts hanging in various places in the city? Where is the narrowest street in Prague, and what dubious activity took place behind the door of the smallest house? Why was a chapel moved for the glory of Yossif Vissaryonovich? Where is an acoustic magic spot, and can a Trabant walk? Among all the over-commercialized venues that literally kill all authenticity, silently lie concealed gems, ones that one would easily overlook and miss. This is why we chose Prague Behind the Scenes. We met Dana by the theatre on Nàmešty Republky, and set out on our tour. Dana is very knowledgeable, but does not overload with dates and facts more than necessary. Instead, as she leads the tour, she tells (in perfect English) stories and anecdotes about all eras of Prague – ancient, medieval, empire days, communist and modern. All the way pleasant and patient, with a great sense of humour, Dana virtually opens locked doors in front of the people on tour. Even the lunch break is at a hidden spot (no, I’m not telling where). Just do this tour, you’ll love it! We met in the morning as strangers and parted many hours later as friends. Thank you, Dana! I had a fantastic time on my tour with Dana! I came to Prague alone and was looking for a small group tour where I wouldn’t get lost among the crowds. Long story short, I found Dana’s company and there were only five people on my tour (the max is 8)! We walked over 6 miles as Dana took us all over Prague to see both main tourist attractions and hidden gems that only a local would know about. Lunch was delicious, and Dana’s facts about every place we went to made the tour much more interesting! Dana was so accommodating that she even helped our tour group buy passes for public transportation, showed us how to use it, and made sure we knew exactly how to get to the next place. I especially liked the fact that we didn’t go inside every place we visited, but rather looked at the outside. This allowed us to see more places in the time we had, and made it easier to decide which places I wanted to go back to and actually spend the money to go inside. Afterwards, Dana e-mailed me a detailed list of restaurants to try out in Prague. She truly goes above and beyond! Thanks again Dana! I can’t say enough about my first class experience in Prague with Dana. Incredible memory of the city’s history, pleasantly paired with funny local jokes and inside stories & facts you wouldn’t hear anywhere else. I would highly recommend her tour to anyone visiting for the first time, especially if you want to escape the tourist traps and get a real sense of Prague! I went with a friend and her parents, and we were very impressed with the tour. There was so much for Dana to tell us! Not only that but we kept in touch with her for the entirety of our stay in Prague and she was very helpful, giving us tips and advice even after she had given us the tour! She earned the price of the tour and more by far! Our stay would have paled in comparison without her help. We stumbled on to Prague Behind the scenes on the train from Budapest to Prague. Fortunately for us, it was not peak season and Dana was available for a tour the next day. She was absolutely delightful and we loved the tour. We exceeded our 10K steps for the day so plan to do some serious walking. We hit the highlights and so many other interesting sites and local legends we would have never otherwise have seen or known. If you are ever in Prague, Dana is one of the hidden gems you need to be sure not to miss!ecommend it. Four of us took this tour with Dana and really enjoyed it. We saw sights and learned about Prague history that we would not have gotten by just visiting the “must see” sights. The tour took almost 5 hours including a stop for lunch at a cool little cafe that you would not find if you did not live there. Dana was an excellent guide and the route covers a lot of ground, overall we walked almost 6 miles! This was a great way to spend a day in Prague and would recommend it. A fun, alternative tour with a personal touch. Don´t miss it! If you would like to see Prague through a local’s eyes and take an alternative walk around the city while traveling through it’s past and present, then this tour is definitely for you! As my stay was only short, Dana helped me make the most of it by discovering sites, spots, views and showed me images of the city I wouldn’t have seen on my own. She is really friendly and fun -but who wouldn’t be if they enjoyed their job as much? Be sure to join her in this tour off the beaten track that is not just worth your while but highly recommended! I will ask for a second tour next time I’m in Prague, there will be new and exciting things to experience by then! Fantastic tour! We had the absolute pleasure of joining Dana on her tour 25th Feb with just 2 other people so very personable. We went so many places we wouldn’t have seen otherwise and Dana has a wealth of knowledge on the history of Prague. We all throughly enjoyed the tour and would highly recommend you let Dana show you the sites she is a really lovely guide. This was a really excellent tour with a wonderfully local approach–we went everywhere including a really lovely cafe plan to have a break for a mid-morning snack!. I learned a lot about Prague, not only the deeper history, but also in the modern age. Absolutely fantastic–I would definitely do this again and recommend it to anyone going to Prague. This is the kind of tour I look for while traveling. Small groups, off-the-beaten path itinerary and a mix of historical and current references. Dana gives a wonderful overview of the city in a well planned walking tour. We saw, and skirted, many of the highlights without being in the middle of the fray. On our four hour tour there was time for a hot drink and cake in a delightful family run cafe just steps away from the main tourist area. I would highly recommend the tour and if the permitted would also take the 2.5 hour downtown option as well. Dana showed us around Prague with 3 small children she was patient and answered any questions the kids asked. We bypassed the crowds and still saw all the “hotspots”and a few quirky ones as well. A small group which makes it a very personal tour. We would highly recommend Dana to get the most out of Prague. Best tour in Prague! We went on a tour with Dana from “Prague behind the scenes”. We are a couple coming in to Prague for the 2nd time (the fist time was 15 years ago). We felt as if it was our first time! We loved it. Dana is fascinating, knowledgeable and fun. 4.5 hours flew by so quickly. We went to the standard places looking at them from a different perspective and also to places that even the locals don’t know. Trust me when I tell you that she is the best guid in Prague. We had a great time with Dana. 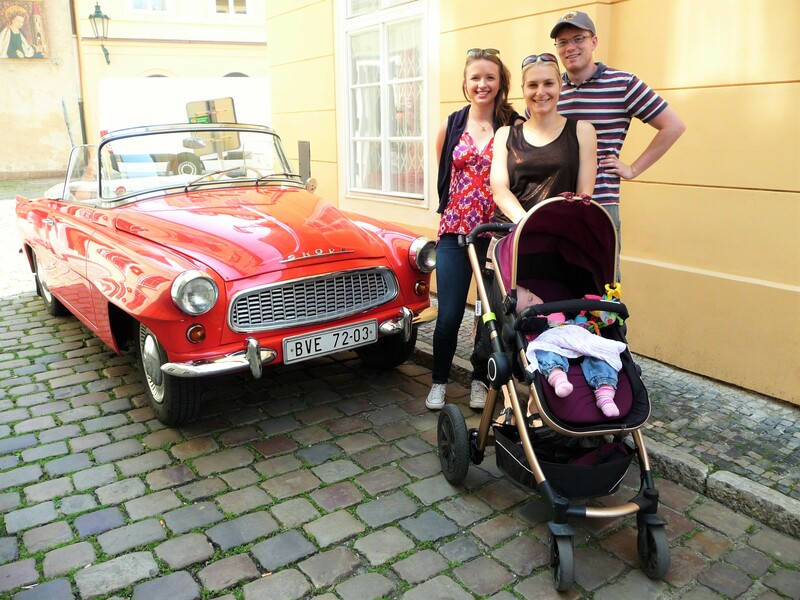 We wanted a tour that showed the delightful nooks and crannies of Prague and we got that. Even though we saw a couple items on the tour Dana gave us more insight into them. If you want to get a locals point of view and see some historic photos in the places where you visit then please book this tour. She answered all our random questions and even helped us with some great restaurant tips after the tour. She is very kind, honest, patient, knowable and easy to communicate with. She is a hidden gem a sea of tourist traps. We fell very fortunate to go on this tour. Please check it out. Dana was recommended to us by some friends from the USA and even though we are from Germany and it might have been easier talking to a german guide, we decided to contact Dana for her behind the scenes tour. We are a little family with a ~5yrs old girl and we weren’t sure if she would be able to do all this walking, but Dana was very kind in her emails upfront and offered to do a private tour just with us and making backup plans if the little one would stop cooperating. Dana is a very kind and cheerful person and we loved talking and listening to her. We had the impression she knows every detail about every building in Prague and she answered every question we had in mind even about buildings that weren’t “mainstreamy”. Taking her tour instead of any of the other ones was the best decision we could have made. We enjoyed the places and views she showed us and loved the stories and background information she gave us. She took us routes that were almost free of any other tourists, knew how to see things otherwise hidden from the public, how to enter places without queuing up for hours and spent some very happy time with us in a cozy little coffee with great toasts and nice atmosphere. We would love to take other tours with her on future trips to Prague and we really like her as a very nice person. I will give her five stars/thumbs up/whatever – even though I know it will be harder to book tours with her afterwards 😉 Dana, keep on doing those great tours and all the best to your business! What a great way to see the sights – both big, touristy places, and tiny-yet-significant places you would miss if you didn’t have a local showing you the way! The pace and duration were great. Because it was a small group, we had all of our questions answered and enjoyed the company of the others on the tour. I cannot recommend this tour enough! Prague Behind the Scenes with Dana is, quite simply, the best way to get to know the real Prague. This is a tour with a distinctly genuine local flavour, run by a passionate, knowledgeable and friendly guide who makes you feel right at home in her city. In addition, Dana was more than happy to provide recommendations on places to eat and other sights to visit to help maintain this personal touch to my stay in Prague. I will always make this tour my first recommendation to anybody visiting Prague. 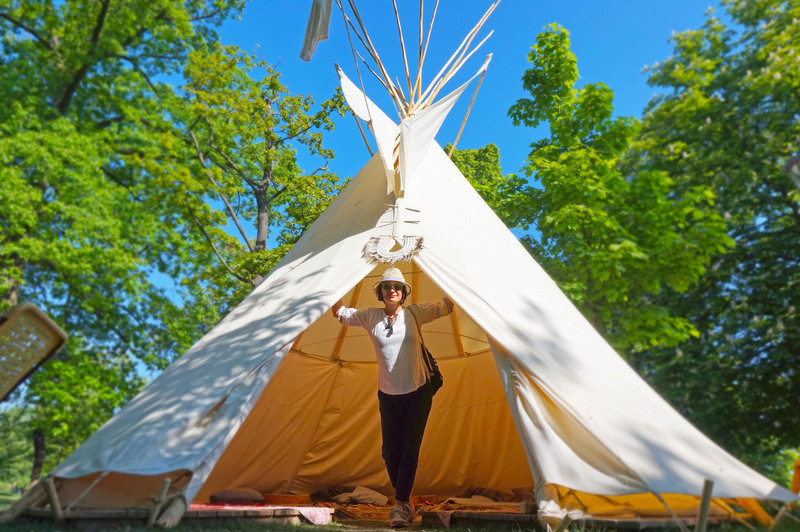 Make sure you do it early in your stay to take advantage of all the local tips Dana is sure to provide! I can echo the sentiments of others who have said that taking this tour is like being shown around by a friend; that is very true, and as a solo traveller this made the whole thing much more enjoyable! If I had to use one word to describe Dana’s tour it would be – genuine. Trust me when I tell you, if you only sign up for one tour of this magnificent city, make sure it’s Prague Behind the Scenes. You will see sights that are not covered in any guidebook, and walk a route that keeps you away from the overcrowded tourist spots, and Dana was just the perfect guide. I was fortunate enough to be the only person on her tour that day, and found her to be both very knowledgeable and very friendly & humorous. She had an answer for every question I asked, and it was quite clear that she is passionate about her job and her hometown – even her Wifi password has a particular significance! Dana’s commentaries on the tour include great anecdotes on the political, historical and cultural scenes of Prague, sometimes with pictures for visual aid – and for lunch she has chosen a really nice secluded local cafe near the castle, which again is very much unlike the usual tourist hotspots. Finally, Dana was also more than happy to help with the rest of my stay in Prague by suggesting other interesting sights or recommending places to eat – all, of course, either obscure or simply local favourites! So if you’re interested in getting to know the real Prague, then go behind the scenes! In our last day in Prague we met Dana and had some 4.5 most enjoyable hours… we visited areas that we haven’t seen and heard some unique stories about the places and people from the history of the Czech Republic and Prague… and we haven’t noticed that we walked for 12 km … we thank Dana for being so professional and lovely and so kind …what a Great way to close our visit in Prague, we highly recommend this tour with Dana… thank you. Dana was our guide…we loved her! Wanted to take her to dinner with us. She was so accommodating, so knowledgeable and took us to amazing places we would never had found otherwise. 100% recommend! Dana was friendly and knowledgeable about Prague. She provided a balance of history and perspective as a local growing up in Prague. It was fascinating to hear about the history and the changes in Prague with the Velvet revolution. We walked and talked throughout the city and up to the castle for a total of probably 4 miles. The city views from the Castle gardens were fantastic! From the moment we met Dana it was a terrific experience. She made it so easy to meet and begin our tour. We love how she catered to our requests and explained the city, architecture, politics and the people. We thoroughly enjoyed our time with Dana. She went beyond the call of duty and booked us dinner reservations and gave details places to see. Truly a great experience and just what we wanted (non touristy) in our city tour. We spent 4+ hours and pleasurable lunch with Dana. ++++ experience. 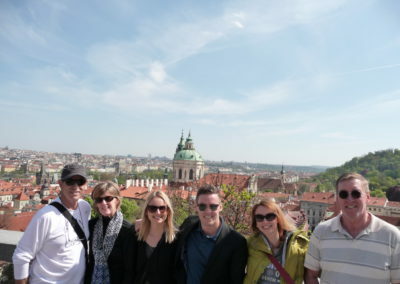 I cannot speak highly enough about this tour; Dana’s Prague Behind the Scenes tour is the perfect way to see the city. Not only are you given a great amount of historical background, you are taken to many sites that large tours would never think to show you. Her WiFi was perfect for everyone’s needs and she even helped take photos for me as I was a solo traveler. I felt like I was being guided not only by a local, but by a friend. Some of my favorite moments during my visit to Prague were on this tour. I have already sent a friend from DC on this tour and will continue to tell everyone I know that when they visit Prague, be sure to take Dana’s tour. You will not be disappointed! This was an excellent trip to take with Dana. We had her undivided attention for 4 hours. Suggest doing this excursion after you have familiarized yourself with the city for the opportunity to see things you normally wouldn’t. Excellent excursion. We had a fantastic time in Prague. Dana managed extremely well a diverse group of seven. She understood our expectations and provide a great four hours tour. Lately, she sent us recommendations to keep visiting the city as “locals”. My mother and I had the most amazing experience with Dana. She was very informative and the tour was more like a stroll with a friend rather than a tour. We will definitely recommend this tour to everyone traveling to Prague. Its great exercise and a beautiful experience. Wow, what an enjoyable morning I had with Dana today! She really knows Prague inside out. I learnt and saw so much. Thank you Dana, maybe someday we will meet again! Take care. Last weekend (3-9-2016) we were visiting Prague. 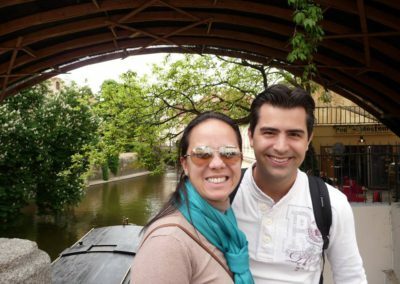 We booked via internet a small tour “Prague-Behind-The-Scenes” with Dana. We enjoyed this tour very much as Dana took us to parts of Prague, visitors don’t see usually. She showed to us most interesting, cute and funny scenes of Prague and could tell us a lot of the history of Prague and of Czech Republic in general. We recommend this tour strongly! 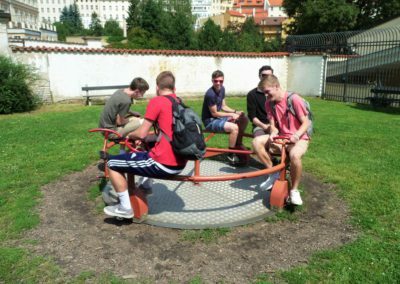 For us this was the perfect way to experience and discover Prague. From seeing how others have rated the trip, it seems like we are not alone 🙂 Dana is obviously very knowledged about her home town, and she also has exellent skills distributing her knowledge. In addition she is a relaxed, fun person to be around. Strongly recommended! The tour with Dana was exactly what we expected. We wanted to get to know the city of Prague for the less known aspects; things that aren’t written in a Lonely planet book. We spent 4 and half hours together in a friendly walk across the city. I appreciated that historical reference were paired with illustrations (old vs now). Finally, we had a light lunch in cozy cafeteria. Visited Prague Mid August. Tour was very informative. For me its very helpful to have a guide to walk you around the city and show you the hidden gems not all tourists know and google doesn’t show when you hit ‘places to visit in Prague’. They were right that it is best to learn it from a local. She brought us to a local cafe which is very good and the price is unbelievably cheap. Thanks Dana, until next time. Great tour! Was a fun, relaxed, insightful tour. Dana is a great guide – well researched and knows all the little spots and stories, do not miss this in Prague!. Dana was a wonderful guide.. With great knowledge of all things big and knick knacks.. She answered all our questions patiently and was very patient with us all the way! It was a great experience.. She took us to a lovely place for lunch as well.. I would recommend her trip! A great day! It was so nice to have a personal tour of such a beautiful city. Dana was engaging and brought us through the most interesting parts of the city. She even step up a lunch at a great little restaurant! Our small group of American University students really appreciated the detail and care that Dana put into our tour. Dana’s Behind the Scenes Tour was an excellent way to get oriented with the city of Prague away from the crowds. As a local herself, Dana knows the best routes, hidden gems, and quirky stories about the city that you won’t hear on your standard tour. She also took us to unique viewpoints of the cities most popular attractions so you won’t miss anything except for the crowds. After her tour I felt like I had a much better grasp of the city layout, culture and history. The tour is also small so there are lots of opportunities to ask any questions and chat with Dana which I appreciated. Dana is incredibly responsive which I appreciated on the days leading up to the tour. I had a wonderful day with her and my group; this tour is great value and great fun so don’t miss out! The day of the tour was VERY hot. But we stopped at water fountains etc. We learnt some great little stories and historic facts. The place we had lunch at was also great. I would recommend this tour, if you don’t want to be pushed through crowds of tourists in the typical tourist spots. You will see some beautiful little streets and views on this tour. Also Dana is super nice and easygoing – just a great guide. If you want to post pictures as you go, you can log into the portable wi-fi for the whole tour… All in all I think we took approx. 5 hours to complete the tour. Make sure to wear comfortable shoes and bring a water bottle. Great from the start! We loved our walk around Prague! I would highly recommend to all. We learned a good deal and also had very nice conversation the whole way. First let me start out by saying I am a very particular seasoned traveler that likes to avoid large crowds and big tour groups. With that in mind, I saw this recommended tour “Prague Behind The Scenes Tour” and I had to book it. For the same price as one of the large walking tours typically with a non-native tour guide holding a flag or an umbrella forcing one to swim up sea like fish in the most crowded of tourist zones you will get an intimate small group (no more than 8) with Dana and this tour. We opted for the “private tour” with just the 4 of us. It was great to be directed at our pace with a native Czech along hidden alleyways, pathways and streets. Along the tour we saw hidden gems, art, architecture and views that most people visiting Prague never see because they stick to the tourist routes. We really appreciated the political insight and history that was provided to us along our journey. We booked our tour for our first 24 hours in Prague to get the lay of the land and insight into the history and culture of Prague. Dana took great care to answer all or questions no matter how silly or typically American they might have been. We were so impressed we asked Dana to provide another tour for us later in the week of a different area. As a professional travel manager I can defiantly without a doubt recommend Dana and her product to family, friends and clients without hesitation. When in Prague you MUST book a “Behind The Scenes Tour” with Dana!!! Dana was a wonderful guide! I had been to Prague previously and had seen many of the major sights, but she was able to show me several new parts of the city where few tourists go, including a wonderful cafe where we enjoyed lunch away from the crowds in the castle district. I would highly recommend this tour for anyone interested in learning more about the city’s history, talking to a local, or simply going on an incredibly scenic walk. Thank you for the perfect end to my stay in Prague, Dana! Dana was a fantastic tour guide! Not only was she knowledgeable about the history of Prague, but also fun and witty. Four hours with a dull history buff would be murder, but Dana made the entire experience delightful. It was like spending the afternoon walking around with a friend 🙂 I’ve already recommended her to all my friends going to Prague this summer. We met Dana as arranged during some prompt and efficient email correspondence she had had with us. Knowing very little about Prague, we entrusted ourselves to Dana, to tell us something about this great city. And she did – lots! Dana knows Prague. She is also passionate about the city and her love for the place comes across in the way she presents her tour. We got to see a lot; including many things we probably would not have seen on our own. Dana is also a very pleasant, cheery person and the day spent with her was enjoyable at a social level as well. We totally recommend Dana as a tour guide. Dana is the best. Very nice tour guide, different view of Prague. Had a wonderfull 4 hours tour that passed too quickly. Very informative and pleasnt. Just try it. Dana was very friendly and knew just everything about the history and culture of Prague. It lasted about 4 hours, including a lunch break, as we got to see all the popular sights away from the really big crowds. She is highly recommended. On my way to Prague, I was trying to run away from those city tours with 40 people following an umbrella. Suddenly I found Dana, and she is even more wonderful than what I had read about her!! She is the perfect guide, took me to all the main spots of the city telling historic facts and avoiding crowded places. I will never forget this tour, wish I could know all the cities In the world with her as a guide!!! I definitly recomend to every one! Is there anyone more knowledgeable or passionate about her beloved Prague than Dana? And fun! Weaving through the quiet unheralded streets and discovering cafes, histories and homes that others may miss, you come away at the end of the day happily exhausted and grateful for an unforgettable experience. Dana is the best! Personable, knowledgeable and a great communicator. If you don’t book a tour with her, you will miss out on quiet little streets, cafes and secrets of the city. An extraordinary day guided through Prague with Dana. You must book a small personal tour with this delightful and knowledgeable woman. PS: you can also read David´s blog post about my tour here. Spending the afternoon with Dana is the absolute best possible way to learn about and experience Prague (other than actually living there, of course). We only had 3 short days in the city and the hours with Dana were our most enjoyable! As everyone else has attested to, she is a delight to spend time with and you will feel like you’re saying goodbye to a new friend by the end of the tour! 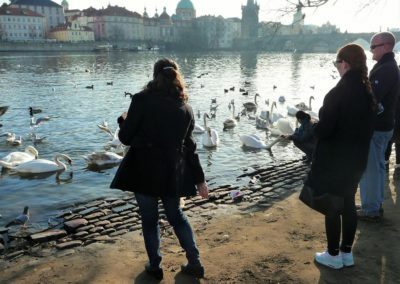 Aside from that, she’s put together an itinerary that covers off a plethora of information about history and sites in Prague you typically wouldn’t see as a tourist on a short visit. She also points out aspects of the main attractions that are unique and interesting. Lunch at an out of the way, simple restaurant was delicious and inexpensive! We also enjoyed the physicality of the tour – trekking up the hills and stairs and the total number of km covered :). We were always talking and asking questions and the time absolutely flew by! Spend part of your visit to Prague with Dana – I guarantee it will be the highlight! Highly recommended! Keeping it short: This tour is a definite recommendation! Dana’s a really great guide, very friendly and knowlegable of Prague & Czeck history. Instead of following the big tourist streams, she will show you her city a bit off the main routes, but never leaving out a spot worth seeing between old town and the castle. We really enjoyed the 4 h tour, experiencing the city from its most beautiful side. Hard to believe that Dana’s in the business for only 6 months, but we wish her all the success for the future; she definitely deserves it! We chose the tour Prague behind the scenes because we wanted to see some other sights and learn a bit more than the “usually”. I can just say, this for sure hold up! 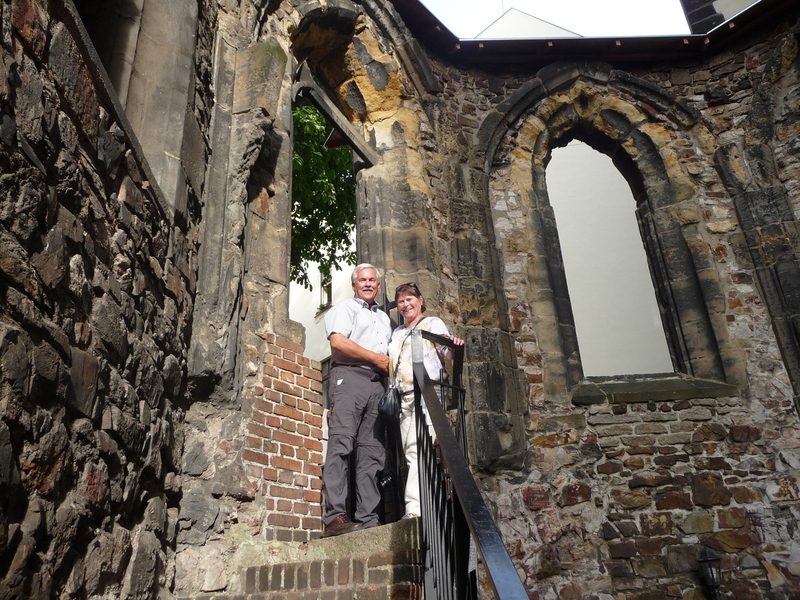 Dana is an amazing guide – very knowledgeable and very passionate about Prague’s history. She took us on a great tour, where we learned many new things. We also went to the best coffee place ever, which together with the tour and Dana as a guide just left us with the perfect experience. We give our highest recommendations to Dana! Dana was a delightful guide. Her knowledge of the region and historical background was amazing. I will most certainly recommend Dana as a tour operator to all my friends. Dana did such a great tour for our group of four. She is so friendly and knowledgeable. We all had a great time. Highly recommended! We had a really wonderful tour today with Dana. So knowledgeable on Czech & Prague history made for an informative and interesting tour with a good small group of 5. Started in Old town and finished at the castle. Had good lunch at a small local place in “new world” area close to castle. Would highly recommend this tour in Prague! Dana is a great guide, she knows to take you to special places and tell all the interesting things you cannot find in the tourist books. She is also a lovely person. I am happy we found her, also my friends enjoyed her tour very much. We wanted to stay with her and she gave us much more than we espected. I’ll will recommend her to everybody going to Prague, she has a lot of knowledge and she knows how to interest the group. ( small group, we were just 4 ). It feels we have a friend in Prague. Perfect way to see Prague and avoid the crowds – Dana was a wealth of knowledge and by the end of the tour we felt we knew the city so much better. A fantastic day that I will remember for a long time. I give absolutely 5 stars for the tour! I joined this tour of Dana when I was visiting Prague in mid April. It was a very pleasant experience with Dana’s outstanding hospitality and knowledge of the city! I was a bit worried about the length of the tour at the beginning as I am 7 month pregnant; however, it turned out very fine and Dana was running a very good pace throughout the tour. Highly recommended!!!!! Thanks! Fireworks? Moon? Stars? No, this tour takes place at plain daytime. It´s main focus is the city itself, Prague: hometown of artists, monks, medics, visionaries and so many more; not the artificial cult, taking almost irrational dimensions around the city emblems. As beautiful and interesting they are, they´re a part of prague, yet by far not everything this city offers. Dana shows and explains, in a very beautiful and interesting way, some of the many secrets this city holds, as well as important events that marked Czech history various ways. Far away from selling her city as an attraction, she takes effort in making a stranger, oneself, feel like a dear and welcome guest. More than plastic tourism, this city harbours traditional tales, stories, legends and … . Praha´s fascination transcends the worldwide known spots; Dana is there to unveil you this city´s secrets. Dana’s tour is really unique. Rather than focusing on the touristy spots, she deliberately avoids them and shows you sites you would otherwise never find on your own. She also shows you the hidden side of many spots, including the Castle area, and the German embassy (where the East Germans gathered en masse as the Berlin Wall was falling years ago). The tour includes a stop to eat and drink in a lovely spot frequented by locals, not tourists. Dana is young, enthusiastic, down to earth, extremely knowledgeable and fluent in English. She is also very warm and the entire experience felt like walking around Prague with my Czech friend. This tour is an absolute must do in Prague and compliments the touristy tours very nicely. It’s a great tour from a great girl who followed her passion! If you really want to see the real Prague, then this is it! Also she takes all the time in the world for you if you go on aa tour with her. That was really relaxed..
Prague with a new friend! We had a wonderful tour today with Dana. She took us to places we would never have found on our own. It was very interesting and Dana is very nice company to travel round with. I would certainly recommend this tour to anyone, it was just us two with Dana so you can ask questions and it feels like you are with a friend. My wife was having a bit of trouble walking and Dana arranged the tour to allow for this. Great day and worth every euro! Dana is a perfect guide, very nice, friendly and energetic! She showed us so many interesting hidden spots. She speaks perfect English, knows and loves Prague and this tour is the best choice if you wanat to discover the beautiful Prague! Had a fantastic time exploring the city with Prague Behind The Scenes! Filled with tons of interesting and hidden facts, which you wouldn’t be able to discover from a typical free walking tour! Plus, the tour was very engaging, and extensive! Highly recommend this tour to anyone who wants to know more than the usual bits! I was searching for less touristy way to feel and learn about Prague. Fortunately during my googling I found Dana’s tour in likealocalguide.com website. The tour itself was great! That day, I was the only person to participate, so literally it was a private tour (for a funny amount of money). Dana explained everything very well and with smile, answered all my questions and showed many hidden gems of Prague, some locals places and the best of all she changed the weather day before from rain to snow so Prague looked even better. Personable tour! I ran into this tour from looking at ideas what to do on a free day my sister and I had on our trip to Prague. I have to say I was very happy with this tour with Dana. It was like having a friend that lived in the city showing you around and sharing a bit of history about the buildings and monuments. It was just me and my sister for this tour and we were able to ask Dana all shorts of questions that we had. She was very knowledgeable about her city and shared to us helpful tips about being a tourist in Prague, which we felt was very useful information. The minute the tour began, it was very easy to have small talk in between sights she was sharing with us and it felt like we were catching up with a friend. I would highly recommend this tour because I wouldn’t have been able to gain a closer connection with the city if I were in a larger tour group setting. If you like the idea of a personable tour, this is for you. Dana is a wonderful guide and was extremely knowledgeable about all parts of the tour and she offered an amazing insight that we probably would not be able to find with other tour guides. 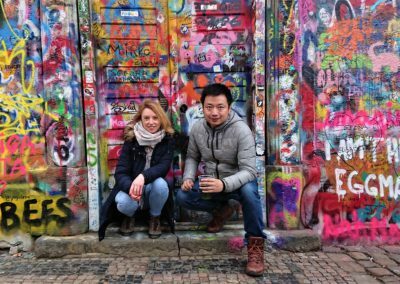 If you want a unique perspective on Prague from a true local, I highly recommend Dana. She was also extremely friendly and approachable whenever we had any questions and knew all the answers to our questions. We also asked for recommendations for restaurants, pubs and places to go and was so helpful with her suggestions! I was so engaged I didn’t even use the free wifi she had :-). Thank you very much for your time Dana! Tour with Prague Behind the Scenes is an excellent way to see Prague from a different angle. It is great tour for everyone who is not interested in touristy things, or already done them, or for someone who has already been to Prague before. Cool thing about this tour is that you are still in the city center, but just taking a little bit different paths. There is not too much history talk, more fun and interesting facts about places you see. When I took the tour, there was only one more person in the group, so we had a lot of opportunities for question asking and just chatting. She was fab! Very friendly and very accommodating. Must-take tour when in Prague. Prague Behind The Scenes was recommended when I asked a friend who lives in Prague for tour suggestions. So we checked out Dana’s website, compared her tour with other available Prague tours, and decided to book it. We met Dana at the agreed spot which we easily found. She was there with her board and a friendly smile. An added bonus was that my wife and I were the only two people on this tour on this crisp January morning – so we ended up enjoying our own personal tour of Prague! Dana took us around Prague, showing us the popular sights and the “behind the scenes” Prague too. Like most tours, she told us the historical background. But unlike many tours I’ve been on, she actually made the history interesting. To me, that’s a rare gift. 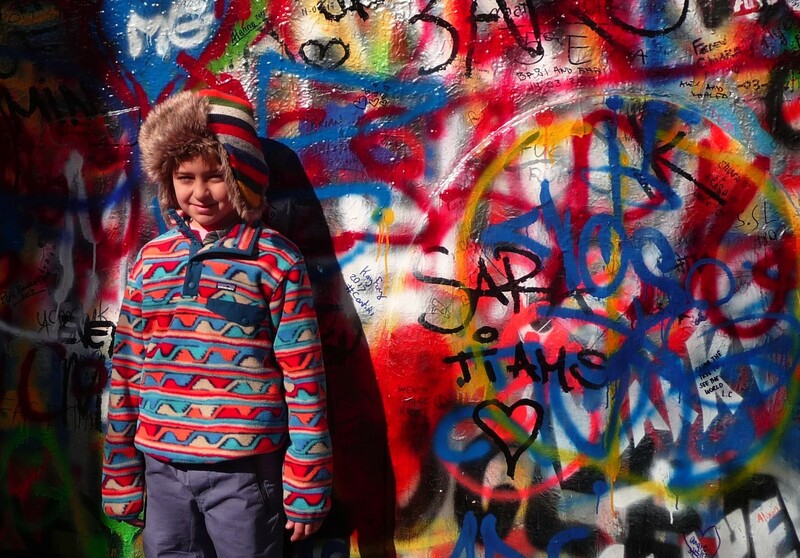 We could tell Dana loves Prague and its history, and loves telling people about it. She loved to answer our questions too – no matter how daft they were! She also speaks English very well, so there never was any problem understanding her. One of the highlights was when we stopped for lunch. Dana took us to a delightful restaurant where they served authentic Czech cuisine. And we were the only 2 tourists in sight. The soup was delicious! And no inflated tourist prices either. From what we saw, and what we learned about it, we were able to make the best decisions about where to visit during the remainder of our short break in Prague. A wonderful tour from a very knowledgeable, pleasant, helpful and enthusiastic lady, who we’d certainly recommend. Exactly what we wanted!! This tour was absolutely wonderful and exactly what we wanted. Dana is so energetic and incredibly bright. She knew the answers to all of our questions and her English is impressive! 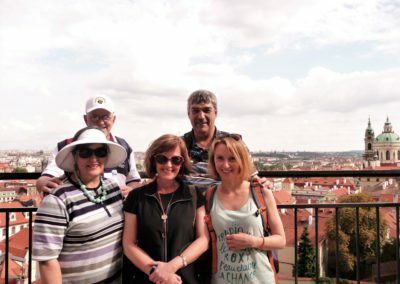 We loved the small group tour (it was just my husband and myself + 1 other tourist), and it was so much fun to experience Prague through Dana’s eyes. We avoided the Charles Bridge and the Astronomical Clock, thank goodness, as the city was absolutely mobbed. Instead we got to see some unusual sites and learn a lot of history about the city that we otherwise would not have experienced. I had been to Prague before and I hadn’t seen anything on this tour. 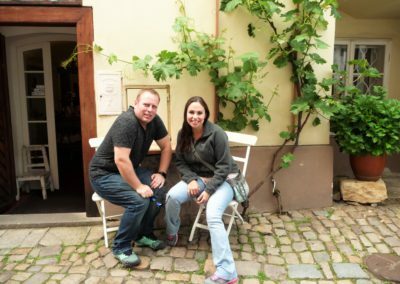 We absolutely loved this experience and adore Dana, and would highly recommend it to anyone looking for a a really solid tour in Prague. We did the Behind the Scenes tour in Prague last Sunday (27th December). Our local guide Dana was very friendly and showed us some nice hidden spots in Prague where a tourist normally wouldn’t go. We had a small group (4 persons including me and my boyfriend) so we could ask a lot of questions and had time for a personal talk while we were walking in this beautiful city. It was nice to speak to Dana because she knows and loves Prague, and her English was really good! For lunch she took us to a typical small place in Hradcany. The service was a bit chaotic, but that didn’t matter, because the place was so cosy and we were in good company J What I loved most about the tour, was the personal touch… You could talk about everything and there was no pressure of a ‘large group’ waiting for you. It was more like a nice stroll in the city, enjoying the beautiful spots, and listening to an interesting person who lives in the city. Thank you for the experience and we wish Dana all the best of luck! This is my fifth visit of Prague and I have already taken so many walking tours in this city. By chance, a few days before flying to Prague, I found on Tripadvisor the Prague Behind The Scenes tour proposed by Dana. Although I had been to several tourist spots during my previous visits, I said to myself that there were always places to discover and this tour seemed to match perfectly my wishes. Dana is a young lady, speaking perfectly English, cheerful and enjoys sharing her love of Prague with foreign visitors. 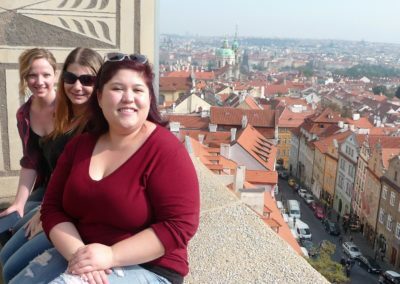 Although I knew quite a few things about Prague, Dana gave me fun facts, showed me amazing spots or points of views that I had never seen before, all embedded within the history of the country or the city. In the Prague Castle complex, she showed me a secret that probably most of people who live in Prague wouldn’t know. So, if you want to see things that are off the beaten path, do not hesitate to take this tour, you won’t regret your choice. The tour lasts 4 hours and only costs 20 EUR. Since Dana takes time to explain things to the visitors and there is a coffee break, the 4 hour walk, quite easy, doesn’t seem long at all. To me, it was like taking a walk with a local friend. I believe that Dana designed the tour for that purpose. In a nutshell, this tour is different than all the other tours you can find in Prague. It does not, and cannot, replace them but if you only have time for one walking tour in Prague, I would recommend you to contact Dana. Our tour guide Dana was fantastic and lovely. She is well inform about the history of her city and i can assure you, she will answer all your questions about Prague what ever it is. And recommend some stuff to do like a local one. She was like a teacher with her students in a field trip: she got a folder with pictures just to demonstrate and make us understand more easily the facts. We skipped some tourist spot just to grant my request: to take us to the statue of Sigmund Freud. I wanted to get there for the thesis of my lil sis. And yeah! She didn’t think twice and said yes immediately. She’s so nice isn’t she? She also did other things for us but i’m not here to write them all. Overall it was a very interesting adventures tour. Me and my bestfriend is more than satisfied. Thank you so much Dana. See you soon. Guide books on their own are never enough when exploring a city as they can never fully reveal the city’s heart and soul. Tour groups can feel too claustrophobic and regimented for most seasoned travellers. 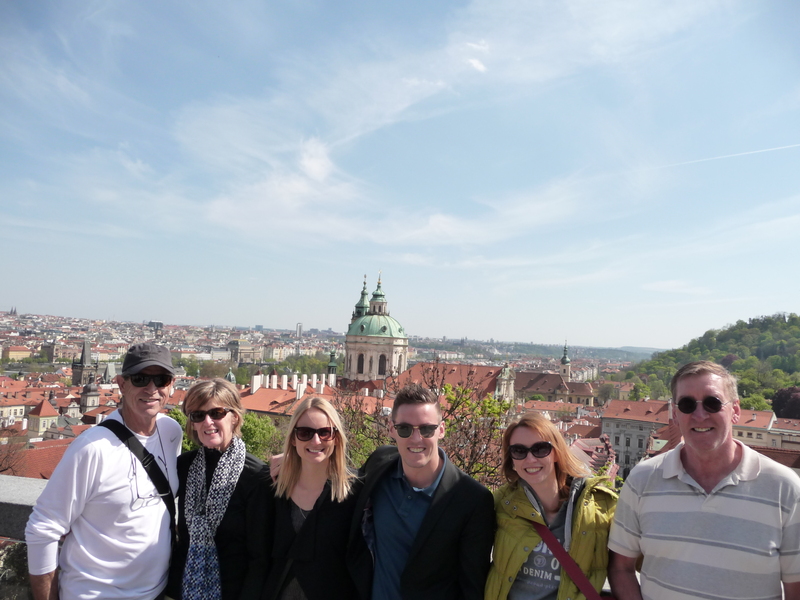 Dana’s “Prague Behind The Scenes” tour provided an excellent alternative. Initially the “Behind the scenes” name of the tour was slightly off-putting as I half expected a tour showing what happens in the kitchens of the hotels, or how the various tourist sites are managed. Fortunately this was not the case. Having read up on Prague’s history and having wandered around Prague on my own with a guide book, I appreciated Dana filling in the historical nuances left out of guide book summaries (e.g. asylum seekers at the German consulate) and the human experiences left out completely (e.g. the busy but waning artistry of stained glass windows). She also advised me on where to get authentic local food and drink at local rather than tourist prices. The tour was a pleasant walking tour through the important historic and cultural areas of Prague, providing many and varied vantage points from which to photograph Prague’s beauty. All along the way, Dana provided interesting stories related to what we were passing (e.g. the communist elite queuing for meat, the only 1-room hotel in Prague, the smallest house in Prague [formerly a brothel], Hitler’s stay in Prague and his plans for it). Her tour groups are small (I was the only one) so the experience was not one of being spoken at by a tour guide, but rather of having a conversation with a knowledgeable friend while strolling about. The route was not as rigid as a conventional tour. Instead, we skipped places that I had already visited on my own and she added places she thought might interest me. Thank you, Dana, for an informative and entertaining introduction to Prague, and for one that leaves me keen to make a second visit to your very beautiful and historic city. What a fantastic tour this is, There are free tours in Prague but all are very overcrowded so cannot follow all that is said – What a difference this tour is – so interesting our guide, Dana knew all the historical facts and is a local lady to Prague, she was very nice with a good sense of humour, a real pleasure to have seen all the area with her – nothing was rushed – I would highly recommend to pre book. 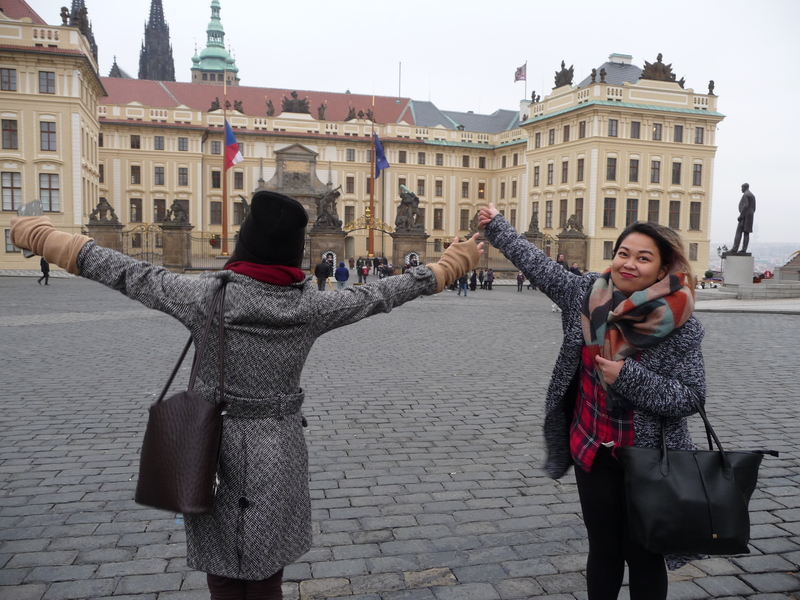 My friend and I had a day to spend in Prague and while we’d already walked around many of the sites, we decided to take this tour, booking was easy, Dana was extremely knowledgable and catered the tour to how we wanted to travel, away from the major tourist routes. Even though there were only two of us, Dana was accommodating and is building a great business. The break for coffee and a snack was an amazing find, along with some great off the beaten path spots which we were taken to for photos and pointed to for drinks or shopping after the tour. I’d recommend this tour to anyone who wants to have a personal tour of Prague from a well studied LOCAL person who doesn’t just read from a script, but knows the town. I met Dana at the meeting point. She is a very cheerful and enthusiastic person. She showed us many different places and provided us with interesting and information and lots of funny facts about the places and the history. I liked the fact that she showed us Prague through her eyes.Also, she showed us places to have a nice dinner and cafe’s which I would not have known about as a tourist. Because we were with a small group, there were many opportunities to ask further questions and she new a lot about everything. In short: I highly recommend her as a guide! Unbelievable experience, I learnt about Prague only thanks to Prague Behind The Scenes. Everybody must take this tour to see hidden and touristic gems of Prague! When I was planning my trip to Prague I heard from a friend that she took a tour Behind the scenes from Dana. She was super enthousiastic, so I decided to contact her. My boyfriend and I took a tour from Dana on a Saturday. She really took the time for us. She knew an aweful lot about Prague, the touristy things but also the not- touristy things! We had a lot of fun on our tour! The best thing was the lunch we had in a authentic Czech cafe. About Dana´s personality, I think she is really brave to try to start her own company. That takes guts. She was really friendly and liked to make jokes. She is also really passionate about her city and country. In one word: great! Dana is a nice person who knows a lot about the history of Prague. She will have an answer for everything you would like to know about Prague. She is a great tour guide who tells beautiful stories about the history of her country. Dana can also recommend you good places to visit where you can have a nice meal or drinks. It was a pleasure to meet you Dana! I will sure recommend you to other friends who will visit Prague! My sister and I booked a tour with Prague Behind the scenes and it was brilliant. We saw some amazing sights in Prague and learnt the history and stories to go along with each spot! We also stopped for lunch at a lovely local cafe which was quiet and off the beaten track, not to mention delicious. I would recommend this tour to everyone. Our guide Dana was happy, friendly and went above and beyond to ensure we had a great time. I liked the idea of the Prague Behind the Scenes tours and in particular the fact that the tour corresponded to the title. Even if I was born in Prague I could discover many new places and see some other ones from a new point of view. The itinerary is chosen carefully to avoid places full of people (especially of those driving segway) and to combine little details that make Prague particular. The approach of the guide is pleasant, combining facts and personal experience. Wi-fi is offered, but one doesn’t need it really. I swear Dana is the best guide! She knew a lot of stuff about history of Prague. She taught us how to get to the sights through unknown routes and toured us around pretty secluded places. She has passion on giving insights on her lovely city, she herself is amazed by the beauty of Prague. So if you´re in the city make sure to look for her and her little business! A unique tour, I loved it! Discover corners of the city that hold secrets to the history and the charm which Prague is built upon. This carefully planned route covers a lot of hidden streets and pathways, giving a unique perspective on the city. For the food lovers in us, there is much to be liked as you’ll discover Prague’s “gourmet passage” and be opened up to local culinary delights. I felt the tour was personalised, allowing time for questions and discussion. Finally a big thank you to Dana for being such an wonderful tour guide. I will definitely recommend Dana as a guide. She knows all history of Prague in detail, she was very attentive and polite with me. I had really a little time, but she tried to show and tell me all important and interesting information about Prague. I had really sense that she always held a contact with me. She was attentive in detail because I don’t speak English very well but she could easily understand me and she helped me when I was in mess. Thank you so much Dana!! I will come back again definitely!! I took this tour and a standard mass market tourist tour on two separate days. This tour is by far the best! We hit the highlights (Powder Tower, Palace, etc. ), but to get between these we traveled back streets and locations where tourists seldom tread. Dana, the guide, highlighted interesting things along the way. (“Those cannon balls embedded in the wall of the old building, they are really ladles placed there by local artists. But those over there are real cannon balls.”). And Dana’s passion for the city, its history, its interesting elements, and people made the tour so much more engaging. The tour felt more like a good friend showing you her city, not like a typical mass industrial tour (which is fine if that’s what you want, but I like the personal, interesting elements). Pros: – The warmth and passion of the guide, Dana. – The mix of the expected (Palace, Powder Tower, Charles Bridge) with the off-the-beaten-path extras that added depth, character, and interest. (Prague’s first shopping mall, opened to much fanfare in the 1970s, built by a western company. The mall disappointed when the stores weren’t filled with western goods, but the same low quality, scarce communist goods.) – The pace. Nominally 4 hours long, but that includes several stops for chats, photos, and tea/coffee/beer break. It is a tour more attuned to the guests than the schedule of the tour guide. – The information, presented much more as a chat than the “details you must know” method of the industrial tours. And with a mix of history, culture, curiosity, and genuine humor. – The small group size, with a maximum of 8. Cons: – Uh, I really liked this tour. For me, it was as close to ideal as you can get. Okay, the con is that it ended. 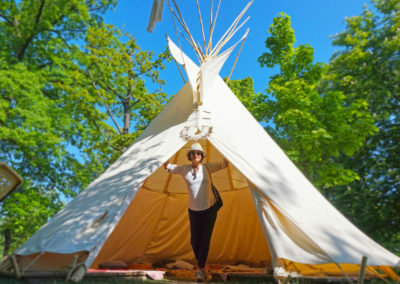 Things to Know/Recommendations: — Dana can provide excellent instructions on how to get from where you are staying to the starting point, and if needed, how to get from the end point to where you want to go next. Ask, if you don’t know. (Hint: Ask her recommendation on where to grab a good lunch. Chances are she’ll take you there.) — The tour does require two moderately steep climbs, but the end points are definitely worth the effort. Both are on roads or stairs. — Expect to have fun and make new friends! Hmmm. I don’t have anything planned tomorrow. Maybe I’ll take this tour again! It’s really Prague behind the scenes! A great tour without crowds. There is only one guide – very nice girl Dana with a sense of humor that will show you cool places in and off the regular guidebooks. Extra points for Wifi during the whole tour :] ! Take comfy shoes there are lot of cobbles everywhere! Dana, the guide and owner of Prague Behind The Scenes knows all kinds of cool and interesting facts about the city that you wouldn’t necessarily get from a guide book – for example, the little stone block type things on the corners of buildings were basically like an early kind of speed bump for carriages haha! She showed us the main Prague sights like beautiful Charles bridge (from very surprising angle), Prague Castle, St. Vitus Cathedral, Municipal House, but also took us to some of the less touristy areas which I would have never found on my own, unless I was lost. All around great four hours spent during my first day in Prague! Thank you. Prague Behind The Scenes is a wonderful company. It is a unique company that provides very interesting walks. The company only provides walks with small groups so there is still personal contact between the guide and the tourists. I had met with Dana (the guide) and made walk through the Old quarter, the Lesser quarter (Mala Strana) and part of the castle district (Hradcany) Dana is a very friendly and social woman who knows her city very well. She showed me all kind of sights and monuments and knows a lot of interesting stories. This company is 100 times better than the mass walking tour groups or Segway . I recommend this company to anyone who really want to discover Prague and know it’s secrets. I had done a tour of Prague with Dana even before Prague Behind the Scenes was officially launched. I told her that I wanted to experience Prague as a traveler and not as a tourist and she took care of that. She is an excellent guide with throughout knowledge of the city and its history which she presents in the form of interesting stories and anecdotes. I loved the tour and I am definitely looking forward to the official 4 hour version when I go back to Prague. WOULD YOU LIKE TO JOIN ME TOO?